Material Mama Show Notes Podcast #1! I had all three of my girls poking me some or most of the time, so I may sound a little disjointed. Plus I’m still learning about this podcasting stuff. I’d love to hear your ideas for future shows! Thank you SO much for taking a listen! I know it’s really homespun, and I know I flubbed a few times but hey, that’s me and my first try. If you get a moment, please vote for my podcast on Podcast Alley. It helps get the word out about sewing! Next week — Material Mama’s Sewing Manifesto! Hi Materialmama! I was directed to your podcast from PR.com. I do the podcasts there, so I was interested in hearing yours! Great idea you have here and I enjoyed listening to your podcast. 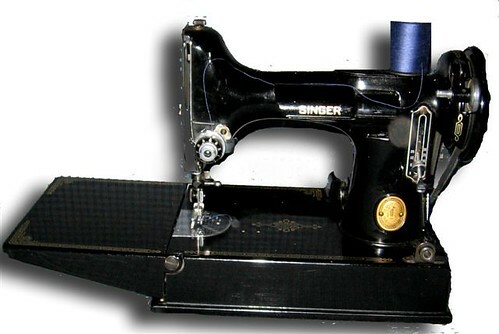 So you have a 15 yr old who isn’t interested in you sewing for her? I feel your pain – mine is not just uninterested, but has forbidden me! You have a lovely clear voice, keep up the good work! Thanks Mary! I had no idea Pattern Review had a podcast. I’ll have to look it up on iTunes. Great show! Thanks for the mention on it. I did have a little trouble finding it, though. When I put in materialmama.com, it didn’t come up. Am I misunderstanding somewhere? I want to be sure to send my listeners over for a listen. Great job, Meg! My sons are 6 and 2 and I don’t have any daughters. Ottobre is the best I have found for boys patterns but there are a couple of ok Burda boy patterns out there too. Amazing blog and great podcast! I love it. I’m excited about how all this technology can help stir up the interest in the craft. This will be great resource for folks, and a whole lot of fun! Consider Suzanne and I, on the edge of our podcasting seats! You are SO cuttin’ edge! love ya! LOVED this podcast! You are amazing. I really enjoyed hearing you talk. Excellent tip! I am going to tape my seam ripper to my machine NOW. I really like knowing your voice. 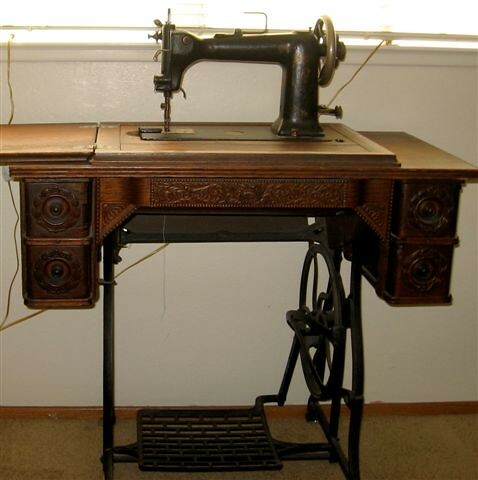 My grandma had a sewing machine just like that.